Incense burners are ideal for burning your favorite essential oils while providing a decorative accent to any space. 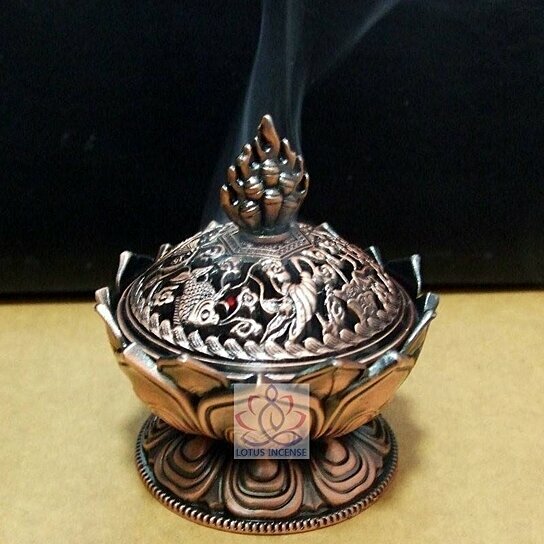 These marvelous incense burners will provide years and years of usage and are an easy way to add a beautiful fragrance to your home or office. Place them on your desk, table, or ideally, on an alter stand. Also makes a great gift for lovers of Oriental decor. When it is burned, the smoke is believed to have medicinal and therapeutic healing power. It inspires creativity, clears negative energy and brings love and fortune. It benefits include energetic protection, removal of bad energy, uplifting your spirits and filling your home with good fortune and luck.